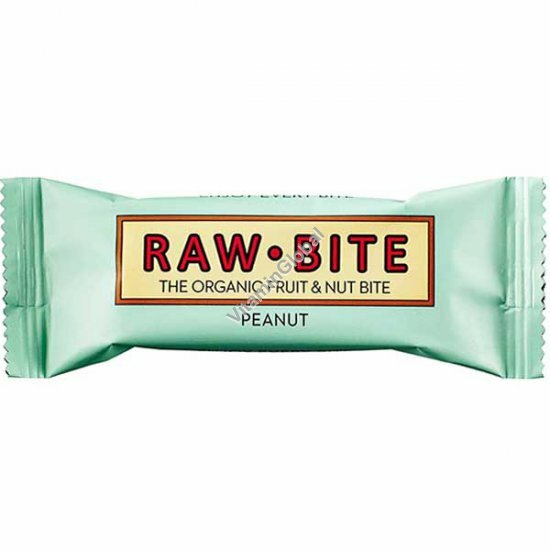 This organic RAWBITE peanut bar for all of you who want to experience the "real bite" - full to the brim with peanuts and dates and sprinkled with sea salt, leaving you wanting more than just one! This is the perfect bar to bridge the gap to the next meal with a satisfying peanut bite to refuel your body with energy. Ingredients: Organic Dates 53%, Organic Peanuts 46,5%, Sea Salt 0,5%.